If there’s anything that is a key to success in any area of life I’ve ever studied it’s having success habits. Highly successful people have found the practices, or rituals/routines, that support their effectiveness and they stick with them. They’ve ensured success by making it a habit. Achor explains that most often we know what we should do to be successful at behind healthy, for example, such as eating more vegetables, being active each day, reducing intake of toxins like caffeine, sugar and alcohol and getting enough rest. Knowing what we should do and actually doing those things are where the rubber meets the road and successful people get ahead because they DO those things (or don’t do non-helpful things). Successful people have mastered the game of thriving by introducing and sticking with rituals, or habits, that support their chosen path and not engaging in bad habits that take them off course. 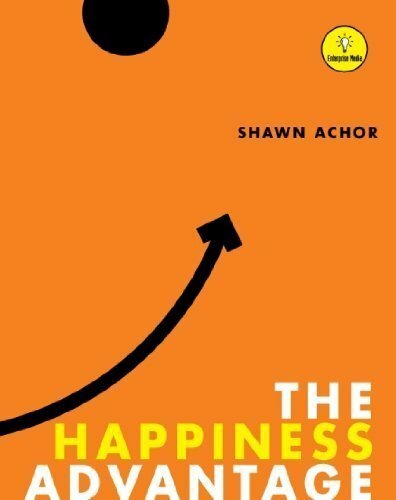 This chapter is all about how to introduce good habits into our life and actually make them effective – or stick. The 20 Second Rule I’ll explain in a bit also defines how we can stop repeating bad habits we want to let go of once and for all. I’d like to take a moment before we dive into biology and your brain and remind you that you are not the same person you were when you were born. Not only physically (as in every cell in your body is new about every 7 years) but also as the personality you consider yourself as “you.” You didn’t come into this world with the habits and behavior characteristics that you have today; be they a good listener, funny, a good learner or great athlete. All of those characteristics you established along the way and they make up who you are now. I often have to remind clients of this during coaching sessions when they say things like, “That’s just the way I am” or “I’ve always done that” or “That’s my normal pattern.” Actually, the way you are you grew into; you developed these patterns over time. You just forgot that you picked these traits or habits up as you went. Now they’re just a part of who you consider yourself to be. But they weren’t always there and that means that you can in almost every case change them if you want. What James was referring to were the web of neuroassociations that are created in the human brain when we interact with our environment. The brain is a survival mechanism designed over tens of thousands of years to survive and perpetuate the species by warning us about danger. (I think there’s a lot more going on here, but let’s keep this common story alive for now) The brain is designed to conserve energy and links up or creates short cuts (neuroassociations) in the brain wiring that tie things together so they can be recalled and repeated more quickly and efficiently. When we do an action once and get a good result the brain remembers it. If we do the same action ten times for ten days the brain is creating stronger and stronger associations. I want to add my hypothesis that adding an emotional charge to the result also impacts how quickly the brain engrains the behavior (momentum). These neuroassociations are designed to serve us so we don’t have to remember the route to work each day when we pull out of the driveway or how to tie our shoes each time we get dressed. The brain also filters out things we don’t need and short cuts, or remembers, things we think we’ll need or will serve us in the future. “The more we perform a particular action, the more connections form between the corresponding neurons. (This is the origin of the common phrase ‘cells that fire together, wire together.’) The stronger this link, the faster the message can travel down the pathway. 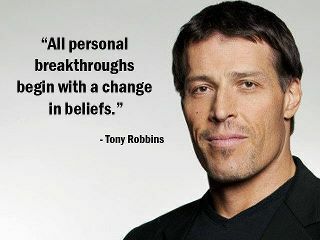 This is what makes the behavior seem second nature or automatic.” Hence why clients say the things I mentioned earlier. They’ve forgotten they practiced this behavior and it just seems “normal” now. These habits, or associations in our brain, can serve us tremendously. For example, this is how athletes or skilled musicians become excellent in their field. The same thing that can make us a talented athlete or musician is the same mechanism that can create addictions or unwanted habits that drive us nuts and make us do things we don’t consciously believe we want to do. So now you have the insight to know what is going on when you create a new habit. You now understand that you just need to practice to make it perfect – or permanent. Create a new morning ritual of exercise, or eating healthier or sitting down to write our novel each day. These things we know will make us more successful in moving towards what we want…so why do we so often fail at new resolutions or rituals? One of the big reasons: Willpower. Or lack of it. We often rely on sheer willpower to keep up the new habit we want to reinforce. I often picture creating a new habit as a way of turning a really big ocean liner in a new direction on the open ocean. It doesn’t turn on a dime – it’s more of a gradual change that occurs and pretty soon we’re on our new course. Changing habits can be like this and discipline is like the rudder and willpower is the energy that creates the course correction. The challenge with relying on our willpower is that it is like an engine and requires fuel and when the tank gets depleted, we lose willpower and the ship (brain) goes back to its old course. This is when we might say things like, “I fell off the wagon” or “I gave in” or “The urge took over and I felt helpless to resist it.” I’ve said this to myself hundreds of times and hear it from my clients when willpower was what they’re relying on to make the change. Let me explain a little of what I’ve learned about willpower and share what Achor conveys in the book as well. By the way, an excellent resource if you want to dive deeper into the study of willpower is the book Willpower Instinct by Kelly McGonigal or watch her Google Talk or TED Talk on willpower. She does a great job of going into the details so check those out if you want more information. As I said, willpower is like an engine which requires fuel to power it and it can be depleted and then we run out of willpower. Achor shares about experiments that were done related to willpower and in the end the researchers wrote, “many widely different forms of self-control draw on a common resource, or self-control strength, which is quite limited and hence can be depleted readily.” Think of it as a small bottle of water you have to last you all day. If you drink it up too fast, you’ll go thirst by afternoon. This is often why we give in to our urges or old habits by the afternoon or evening. Too many people (and I was this way when I was bulimic) who come to me for coaching or write in about their story share how they wake up in the morning with the resolve to make this the last day and by the afternoon they’ve succumbed to that monster urge, bad habit or vice they’ve been trying so hard to resist. They’re mostly relying on willpower and don’t understand how it works. As we’ve learned, the brain has created neuroassociations that wire old habits in place and it takes energy and resolve to steer the brain in a new direction. Willpower is one of the resources we can tap to put new habits into place to overcome the old patterns in our brain. You see, the brain wants to naturally follow the path of least resistance. It has already learned and stored the path of least resistance to success and it’s going to try to execute it whenever it sees an opportunity. As the author says, “the more often we succumb to this path, the more difficult it becomes to change directions.” This is why we feel the struggle to get out of bed once we’ve made a commitment to running in the morning or to not eat that sweet in the evening after dinner. We’re fighting homeostasis and inertia. Achor says, “we are drawn – powerfully, magnetically – to those things that are easy, convenient, and habitual, and it is incredibly difficult to overcome this inertia.” I refer to this inertia like the grooves of an old vinyl record. The record spins round and round and it takes energy to pick up the needle and change to a new groove, a new song. The same is true for telling a new story about our lives. Whether we’re trying to change an old habit pattern or tell a new story about the way our lives are we have to pick up the needle and with intention and consistency move over to a new groove. Eventually that groove will feel normal, but in the beginning the old groove will be very easy to slip back into due to inertia. To overcome our own inertia – or old habit patterns – that create the old path of least resistance we need to address a few other areas of our lives in order to create these new success habits. When looking at activation energy in new habit creation we’re addressing three areas including time, choices and mental and physical effort. Time and mental/physical effort: This is where the 20 Second Rule comes in. Achor talked about how he wanted to learn to play the guitar and when he tried to get in the habit of playing it each night he failed at first. When he later stepped back and looked at his approach he realized that he wasn’t following the path of least resistance because he had stored his guitar in the closet down the hall and it was much easier to grab the remote and click on the TV each night instead. To turn this around he removed the batteries from the remote and moved them 20 seconds away from the chair and set up a stand next to his favorite chair where his guitar would sit. By doing this he had removed the 20 seconds it took to get the guitar out of the closet and added 20 seconds to turning the TV on at night. He went from playing guitar a couple times in a month to nearly every day. He put his desired behavior or new habit on the path of least resistance and his old, undesirable habit on the path of more resistance. I call this setting ourselves up to win. Sounds super simple – and it is – but also super effective. Choices: another area we want to realize we need to set ourselves up to win is in creating or eliminating choices. Going back to willpower, every time we have to tap our brain to make choices about doing or not doing something we’re tapping into our willpower account and depleting it. Achor says, “the key to reducing choices is setting up and following a few simple rules.” For example if you want to create a habit of exercising each day then decide in advance the what, where and when. Don’t leave yourself with choices when you wake up like “Should I work out this morning or after work?” or “Should I play tennis or go for a run?” or “Do I want to work out for an hour or just 30 minutes today?” Too many choices will deplete our willpower, so decide on these things in advance. I think this is why structured eating plans show good results for people with eating disorders. For me, in my race training I set up the entire schedule for 8-12 weeks before each race in advance so each week I already know what I need to do and I just need to determine what day I’ll complete what needs to get done. I reduce the choices and decisions. I’ve seen clients who go the path of structured eating plans come off of them after a few weeks and some don’t have the willpower reserves enough so they stay with structured eating for 3-6 months until they feel solid in their addiction recovery. 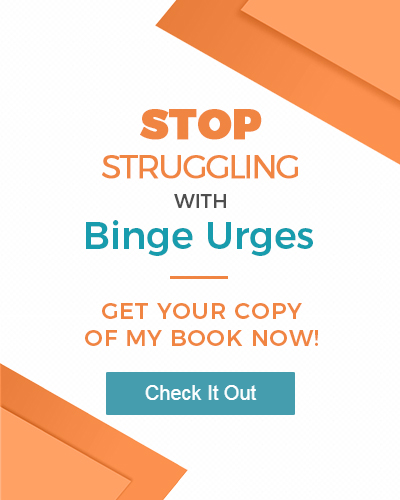 I would be remiss as a bulimia recovery coach if I didn’t share some thoughts on how this information can help you if you’re struggling to stop binging and purging. Let me start by asking you to consider “What if bulimia were just a bad habit?” Would you feel more empowered that you could change your habit given what you’ve just read above? If this were true, could you stop looking at this thing called bulimia as if it were a “disorder “ or “disease” you have? Instead, it’s a habit you created and habits can be changed (or better replaced). Identify the activation energy – a habit is three things: 1) trigger or cue, 2) routine or ritual and 3) reward or payoff. Knowing what your triggers are and getting out ahead of them can be the first step to stopping the habit. Without the trigger – or having a new routine or ritual that increases the activation energy to start the routine or binge – can be one way to interrupt the old patterns. Make it harder to or avoid activating the triggers, put more time and/or effort in the way between the trigger and the routine. Remember the 20 second rule. This could look like not have trigger or binge related foods anywhere you could get to them easily. Reduce choices – keep your food resources stocked with foods you hate to binge on, but are good for you or consider a structured food plan to reduce the choices you have to make each day. Create rules – once you have identified the typical patterns that create the routine, come up with rules that can support you replacing the routine or avoiding it with new rules. Example: I had a coaching client who would get lonely each afternoon working away in her cubicle. When she needed a break from work she would go down to the cafeteria and was tempted by all of the sugary foods. Instead, she set an alarm each afternoon that reminded her to find a way to connect with someone before she felt lonely. Often all she had to do was walk down a few cubicles and connect with a co-worker or call a friend to feel better. I’ve had clients that just needed to take a 10 – 30 minute break from the busy-ness of their day to get horizontal or rest. This can help recharge your willpower gas tank. Practice new habits in advance – a technique I work with my clients on is visual motor rehearsal. This is what Olympic athletes use to mentally rehearse or practice their sport when they’re not actually out training. The same technique can be used to prepare yourself for those stressful or triggering moments and rehearse a different pattern. Coming up with a new response to the mental monster who urges you to reach for the cookie or treat can be very effective in stopping the binge before it occurs. As a final thought, remember that the key to creating habits is consistent or repeated practice of your new rituals until the new actions are the default, or new normal, for your brain. Once you’ve retrained your brain to act in a manner consistent with your new habit or behavior, you can be less alert (mindful) for the old patterns or habits coming up. Awareness, practice, repetition and rewards signal to the brain to keep doing things the way you want it to. Remember, don’t beat yourself up if you have a slip. Get back on your path and keep going! messy in the middle and beautiful in the end. Your brain will try to follow the old path of least resistance for a while so just keep at it. Never stop believing you can do this. Never ever.